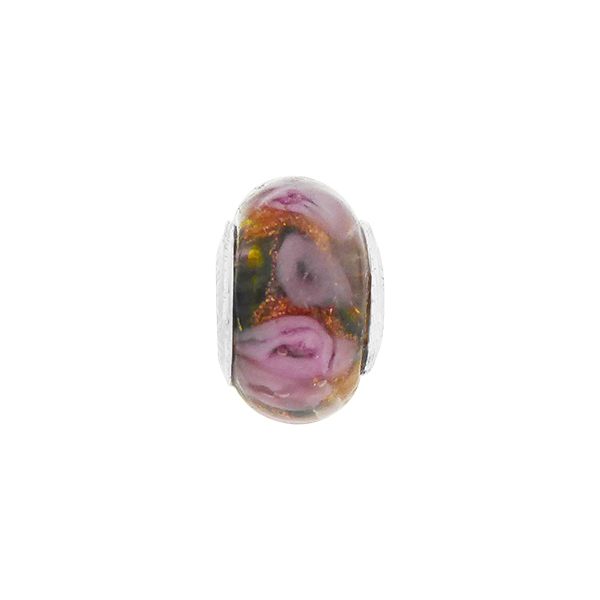 Our fabulous Bed of Roses Bead available in our trademarked line PERLAVITA with a base of opaque where we draw in molten glass the tiny roses and then encase in transparent authentic Murano Glass. 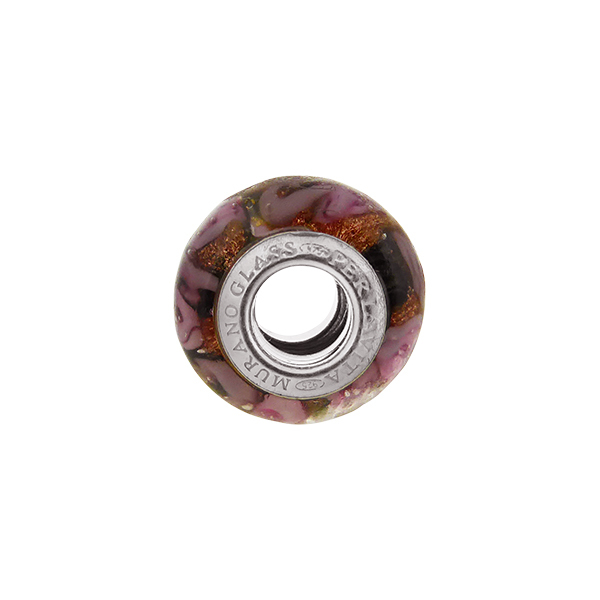 This is our thinner charm bead measuring approximately 14mm in diameter and 8mm across. The insert is Sterling Silver and the color of this bead is Alessandrite (a slightly pink tinted blue glass) over a pale blue base. Exquisite and each one slightly different as they are handmade.